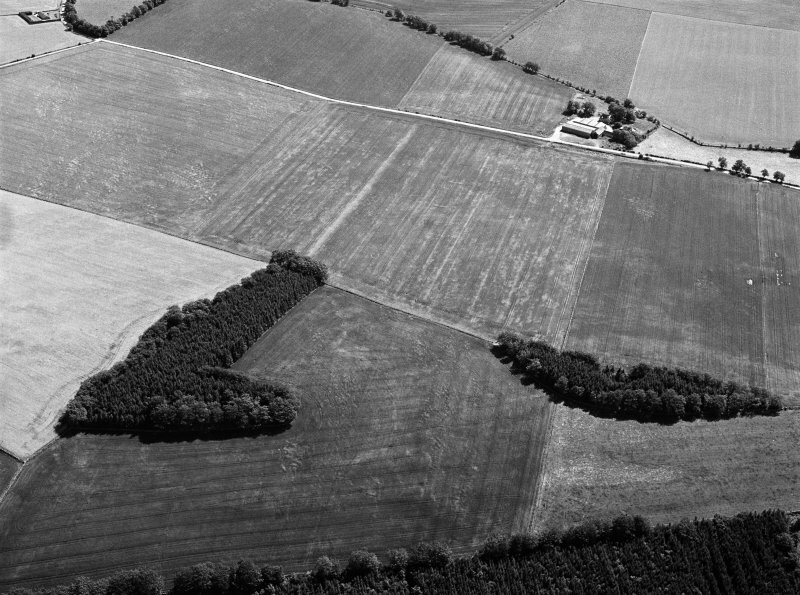 General oblique aerial view centred on the cropmarks of a possible unenclosed settlement at the Hill of Laithers, looking to the ESE. 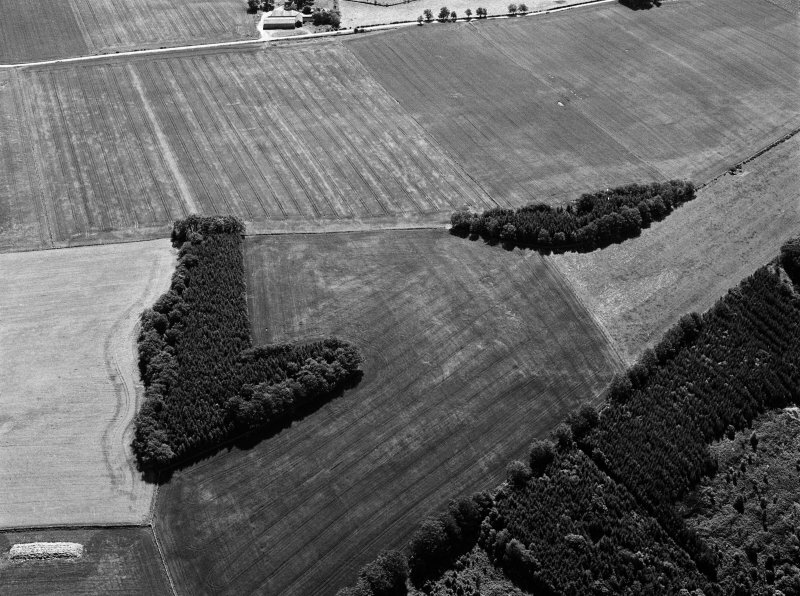 General oblique aerial view centred on the cropmarks of a possible unenclosed settlement at the Hill of Laithers, looking to the SE. 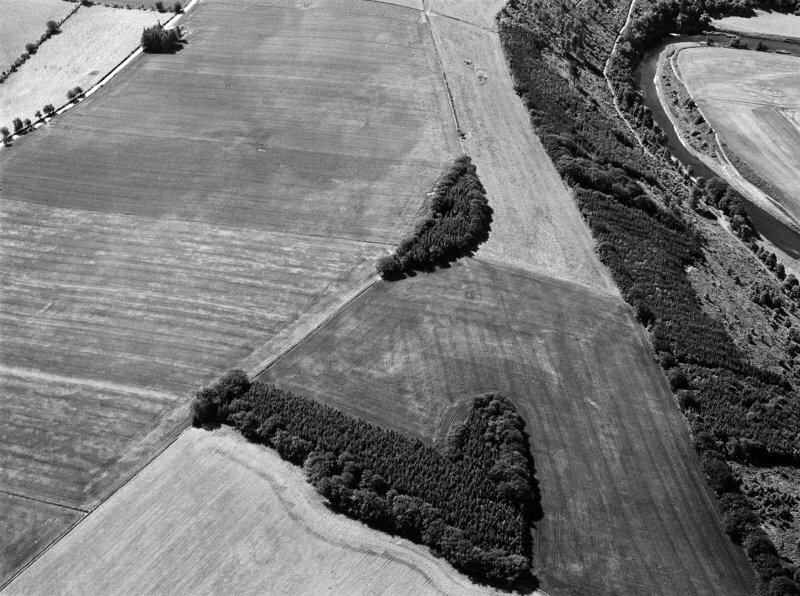 General oblique aerial view centred on the cropmarks of a possible unenclosed settlement at the Hill of Laithers with the River Deveron adjacent, looking to the S.
In an arable field at NJ 6791 4818 is a standing stone 1.3m high by 0.6m long by 0.4m broad and oriented NE-SW. No markings of any kind were seen on it.